A Moment of Great Excitement. The First Experience on Track. Warm-up is the first part of a session on the circuit, during which the driver warms up the car and checks it out carefully before putting its true performance to the test. 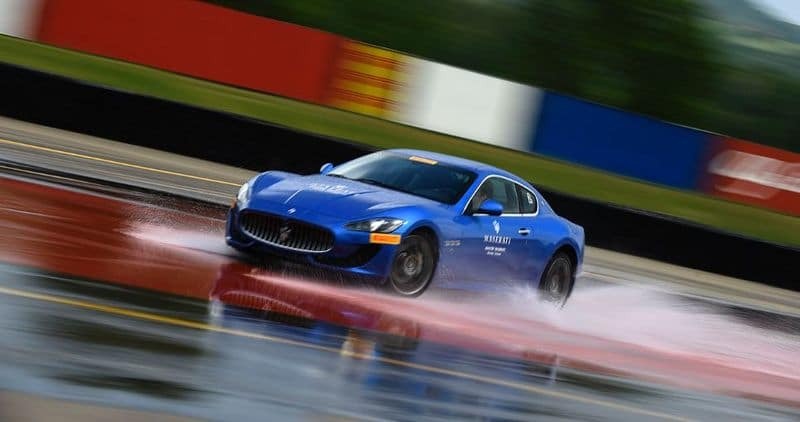 Similarly, the Master Warm Up offers the Maserati customers and prospects an initial taster of training in the techniques of racing-circuit driving in high-performance cars, with the support of a very well qualified, expert staff, who deliver unbeatable instruction and safety in all dynamic phases, in a setting that combines elegance and genuine thrills. It is therefore an excellent opportunity to enter the Maserati world as a favoured guest, covering one action-packed day: starting from the optional morning visit to the Modena Factory, to see at first hand where Maserati’s magnificent cars are born and developed; moving on to the Varano de’ Melegari circuit, which hosts the Master Courses. 0 comment(s) so far on A Moment of Great Excitement. The First Experience on Track.